At The Brentwood Animal Hospital, our Pensacola veterinarian is committed to providing your pet with compassionate, quality care at all stages of life. With the holidays quickly approaching, this is a fitting time to remind pet owners of some of the dangers your pet may be exposed to during holiday gatherings and how to protect pets from them. Holiday foods pose one of the greatest risks to pets, as certain "human foods" can be very upsetting to your pet's digestive system. Some foods can even be toxic in high enough amounts, which chocolate being a prime example of this. Fatty foods can also cause digestive problems for your pet. To be safe, avoid giving your pet any table scraps, and advise any of your house guests to follow this rule as well. Furthermore, keep all food out-of-reach of pets or separate pets from rooms with food. 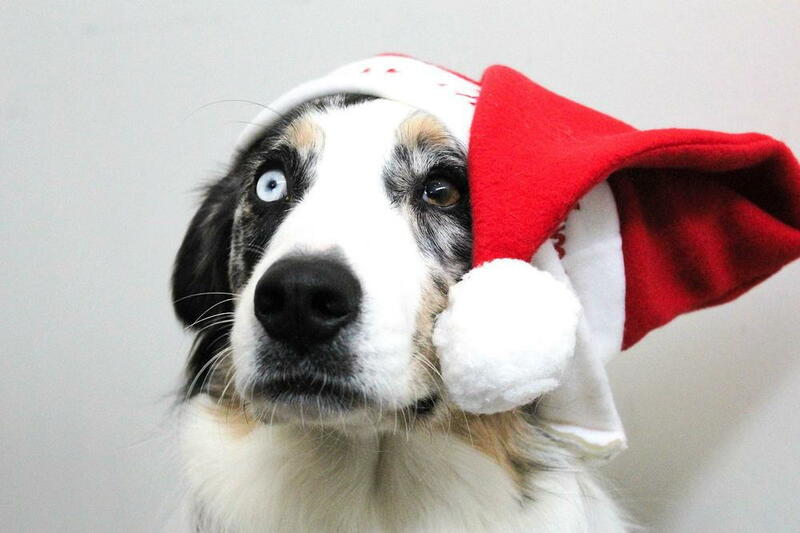 Certain holiday decorations and even plants can also be dangerous to your pet. The Lilly flower, for example, is notorious for being toxic to cats. Your cat doesn't even need to come into direct contact with the flower itself for damage to be done. If you receive any house plants from guests at your holiday gatherings, do a quick search online to ensure its pet-safe before you place it on display anywhere inside your home. String lights should also be kept out of reach of pets, and this is especially true for cats. Cats have a tendency to be drawn to string-like objects and see them as toys, and biting at these lights could result in electrocution of your pet. Small holiday toys should also be kept away from pets, as they could pose a choking hazard. A little bit of planning and prevention goes a long way in protecting your pet from needing to see our veterinarian in Pensacola this holiday season. Of course, if you need our services for any reason, feel free to call The Brentwood Animal Hospital at (850) 434-2646 today!